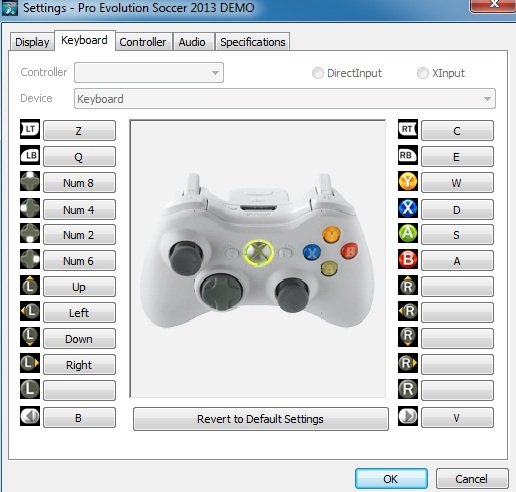 Berikut Tutorial Pes 2013 Full Controls, bagi anda yang belum paham cara mengatur melalui Stick Controler. * Nutmeg Shot: Hold RT when an enemy is close by and then X + L Stick towards the direction. 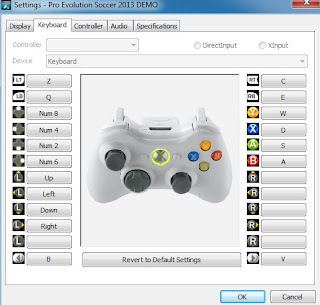 * Double Touch: R Stick (down) then L Stick (right) twice. * LB + A then L Stick towards the direction. * Perfect Trap: RT when the player is trapping the ball. * Flick: Press R Stick as the player is trapping the ball. * Tackle: When Close to an opponent, press A twice i.e [A] x 2. * Hold up Play: Hold [A] when the opposition is in possession. L stick can be used to adjust the distance. * Defensive Tracking: When the opposition is in possession, press RT + L Stick. 2 Responses to "Panduan Pro Evolution 2013"